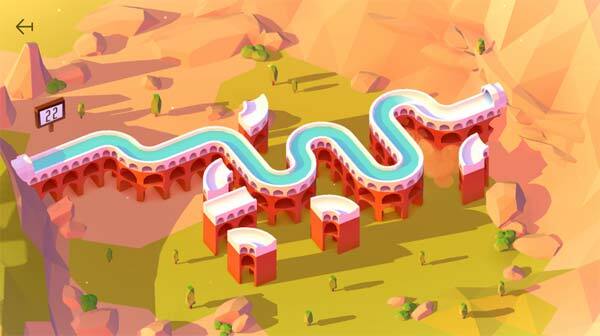 Aqueducts is a unique puzzle game developed by uaJoyTech, your objective in the game is to prevent drought in the city. Build aqueducts connecting reservoirs with the cities to fill grandiose buildings, such as the Amphitheater, Hanging Gardens, Temple of Claudius, Baths and many others. Tap aqueduct pieces to rotate and connect them to form a complete chain. If you overcome all the obstacles and deliver water to the buildings, the city will survive and you will win. The game features challenging puzzles and beautiful graphics. The levels are intelligently designed and the progression, well-handled. If you get stuck in the game, you could check out the video walkthrough for the game. This entry was posted in Android Games, iOS Games, Mobile Games, Walkthrough and tagged Aqueducts, Aqueducts Answers, Aqueducts Cheats, Aqueducts Help, Aqueducts Hints, Aqueducts Solutions, Aqueducts Tutorials, Aqueducts Walkthrough, Aqueducts World 3, Aqueducts World III by Marvin. Bookmark the permalink.